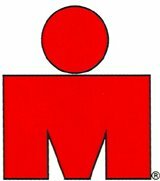 As many people who read my blog may know I use many websites to help with my various triathlons and marathons. I came across one website that I found to be interesting. This web site is call ontri. There are many training websites out there are most of you know but this website is easy to navigate and also has no clutter. It has great forums and workout log and many other cool features. I would recommend it to those who are looking to log and keep track of all their workouts online. If you have any questions let me know. I have a link to the site in this post and also on my blog. Ontri is a great site, thanks for the tip!